Clth, 9.5 x 12.5 in. / 152 pgs / 97 color. Introduction by Her Majesty Queen Noor. Text by Lois Lowry. Afterword by Kristen Gresh. 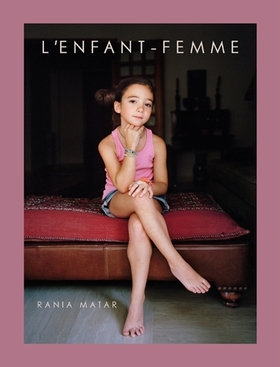 "Maryam" is reproduced from Rania Matar: L'Enfant-Femme. Dress straps slip off shoulders, painted nails splay on hips. 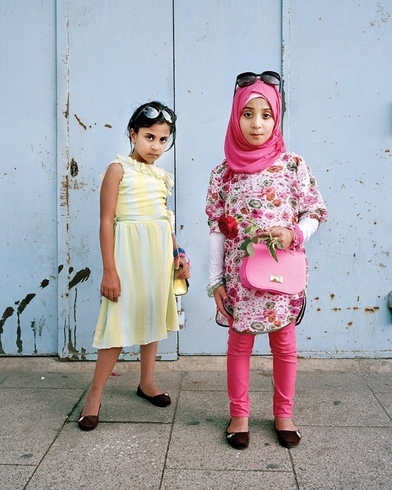 At first glance, the postures struck by the children in Rania Matar’s photographs are grown-up. But look more closely at these girls, who are aged between eight and 13, and the picture becomes more complex. They look variously knowing, sophisticated, elegant, inelegant and uncertain. Some are playing mum. Some are playing A-lister. All have been caught in the process of becoming, as Matar puts it, “a little woman”. Beautiful and sensitive images grace the pages of Rania's stunning new book. These moving photographs evoke a fundamental sense of cross-cultural understanding. If it's possible to be fluent in preteen girl, Rania Matar has to be close. In locking eyes with Matar’s diverse girl squad, we recognise that their nationalities are both unknown and irrelevant... The evocative gaze and telling body language of each girl convey a transnational struggle to find your place in the world. 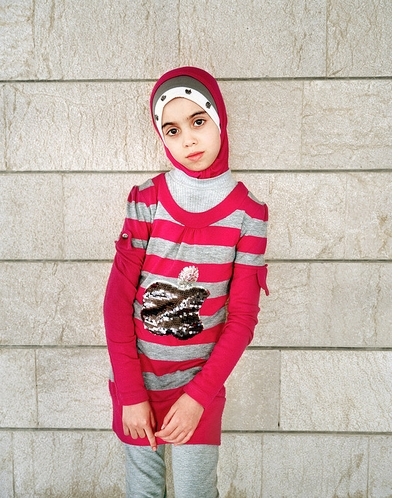 Matar beautifully captures girls’ developing identities at this key moment in their lives... The photographs themselves share more about each girl than any verbal description would. 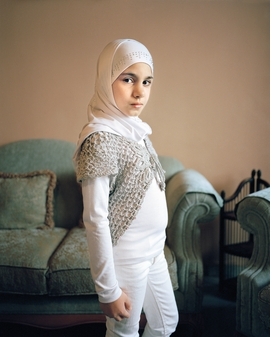 Photographer Rania Matar’s third publication, L’Enfant-Femme, celebrates girlhood in transition. She is a gifted portraitist; her oeuvre is girls and women…The journey toward womanhood, with its expectations, demands, and hopes, is difficult to express. Yet Matar captures the essence of the struggle. 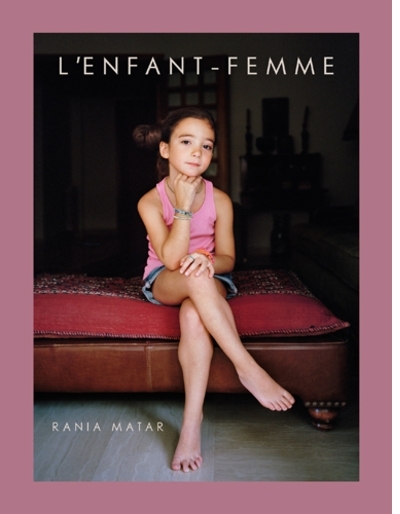 Thursday, March 31 at 7PM, Brookline Booksmith presents photographer Rania Matar, who will speak and show images from her new book, L'Enfant-Femme, just out from Damiani. Book signing to follow. FORMAT: Clth, 9.5 x 12.5 in. / 152 pgs / 97 color.